Holidays - Back to the roots - ekbackagard-permacultures Webseite! Are you looking for a special place for your holidays? A place which is quiet, peaceful and relaxing? A really grounded one, without running water or the stress of a wifi signal? Have a look at our lovely "Grindtorp". 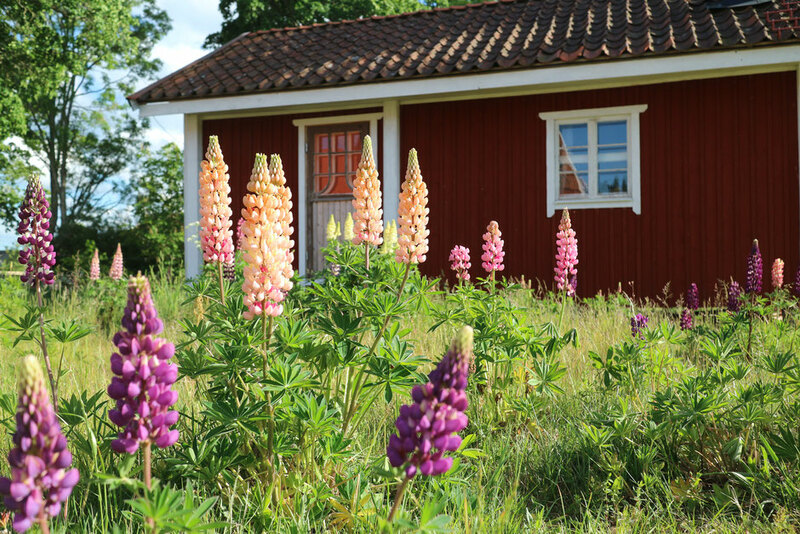 It is about 200 years old and built in the traditional swedish timber house style. It comes along with an open space kitchen and a generous and cosy living area with a fireplace. There are two sofa beds in the living area and three beds in the mezzanine. You have a shower and a separation toilet in the main house, just 20 metres away. And there is also a possibility to take an outdoor shower with a beautiful view.